The continuing success of the beloved Mrs. Murphy mystery series is given its proper due with the publication of this 20th-anniversary tale. When a local mechanic gets his odometer turned back-for good-Mary Minor "Harry" Haristeen steps in to investigate. 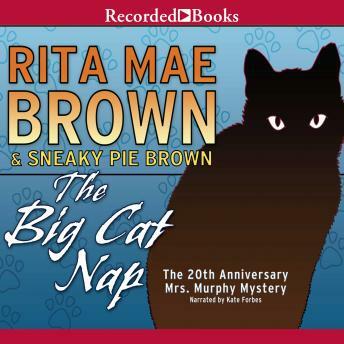 There's more to the crime than meets the eye, though, and sleuthing cats Mrs. Murphy and Pewter, along with faithful corgi Tee Tucker, do their level best to keep Harry out of harm's way. Fits with the others in the series. Although not a "thinking challenge", it was another fun, light mystery with characters we seem to know if we've read the the others in this series.